Short desc. : Uni night with cheap drinks. Slightly edgier. 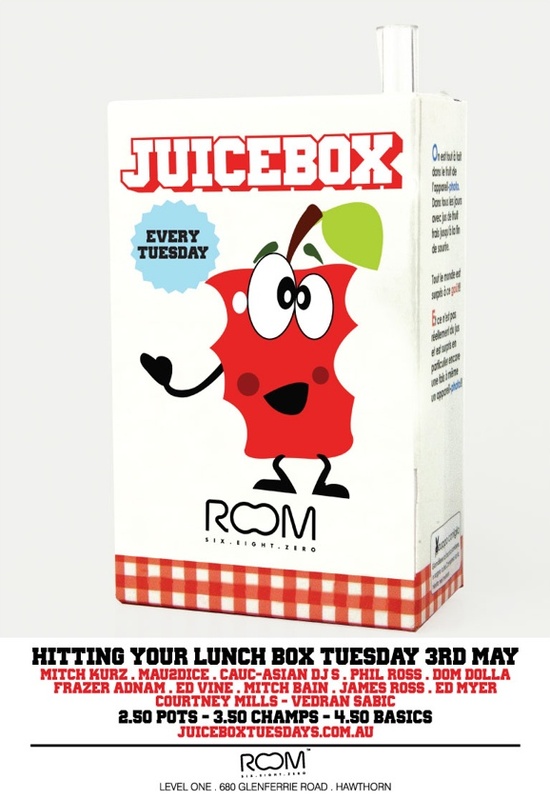 Tuesdays at Room have come and gone over time (had different names), but there's always something good there. It's housier. Little bit cooler crowd than Cheers. yo-yos to people who answer trivia questions correctly. When is Tim G going to come back and spin some tunes again? Room Tuesday is awesome, especially when Phil G plays!! and too many others to name here. generally well behaved. Most are locals, but quite a few travel in. Its one worth checking out. the door. Management reserves the right to deny entry. Level One | 680 Glenferrie Road Hawthorn | 3122 | 9818 0680. Tuesdays (see some pics on our pics page). Tuesdays (see some old pics on our pics page). DIDN'T EVEN WIN ON THE DRINKS BUT STILL HAD A BALL! night out, make sure you're at Room680! good to catch up. Good looking boys!! drinks for free, runs all night. Retro in the main room, and House in the front. 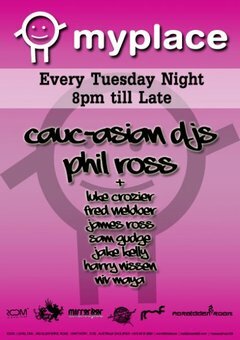 For Guestlist, email parko_7@hotmail.com by 5pm tonight, discounted entry. Note: in the busy months it is guestlist entry only. you please put Sam, john c and Laura M on the glist. for discounted guestlist entry. Its guestlist entry only for the busy periods. My mates and I have gone to Room every Tuesday night during the summer months. strong, and don't let the Yo-Yo's Go! Yep, was awesome last week,and will be too Tomorrow night, Got work off again! the front room, and free drinks with yo-yo's. and try the new ursus red vodka Drink at room this tuesday, it is beautiful!!!! entry. I do advise to come early, as waiting in line can be a bit of a pain. will get in for free. You gotta be quick though..
Ill be there with bells on on the 13th. night. 50/50 chance of getting your drinks free EVERYTIME!, runs all night. would be worse off without him! "Room 680 on a Tuesday is much nicer/better dressed/more well behaved)." hard snobs on a Tuesday nite. starting the night and making it buzz. Go see him out in style. If you missed the 1st show, do not miss this one. can't get you out of our head. Love Kylie fashion parade at 1am plus giveaways. The music, the people, and the small area. It's local so easy to get home from. very good night in there now. and creating a great atmosphere. The yoyo drinks promo works well too. mullett! =;-) No, jokes aside, it really is a great night. Worth a look. Really good music, gets everyone up dancing. Nice crowd, everyone dresses well. Cheap night because of the yo-yo's. just a really fun atmosphere, i recomend you all check it out. Classy very Classy. Tim Goodfellow is soooo cool. where does he get his haircut? time I was there), and the small bar was rolling with the vocal house tunes. and fairly hot! Worth checking out. venue, good promotions, and interesting concept. Strange to hear top 40, classics, and commercial at Room though.